My name is Leanne Strong, I’m 23 years old, and I have Asperger’s syndrome (milder autism, little to no difficulty with speech or cognitive skills). 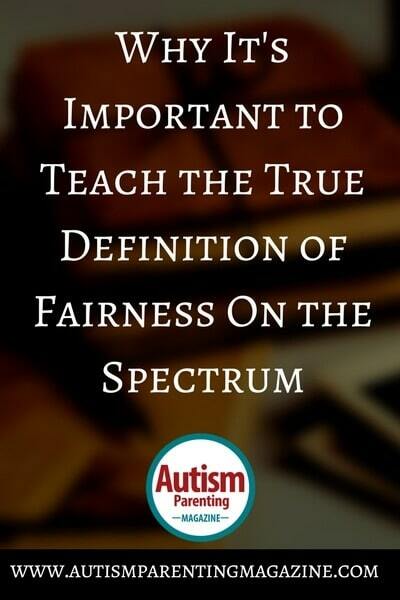 As you may know, a lot of people who have autism understand things in a very rigid and concrete manner, and our understanding of fairness is no exception to this. When children are younger (in preschool or early elementary school age), the adults and older children in their lives teach them they have to be fair all the time and that fairness means nobody gets an extra cupcake, or everyone gets the exact same number of birthday or holiday presents. 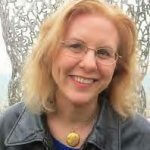 By the preteen or teen years, however, most neurotypical children have realized (or are starting to realize) that the definition of fairness that adults and older children once taught them is not always the correct one. They have realized that fairness sometimes means making sure everyone is happy with what they get, rather than using the exact same tactics with everyone. Many people who have autism may continue to understand fairness as treating everyone exactly the same well into adulthood, unless it has been explained to them otherwise. If I felt like my parents were letting my brother (two years younger than me, and without disabilities) off easy for something that would have earned me a good talking to when I was his age, I would think it wasn’t fair. That wasn’t because I thought he needed or deserved stricter discipline than what he was getting, or because I didn’t think I needed or deserved the discipline I was getting. It was because it didn’t look exactly the same as what I would have gotten when I was his age. Equal means everyone gets exactly one hour of screen time every day. Fairness means it’s OK to use less than one hour of screen time, but it’s not OK to use more than one hour. Equal means everyone gets the exact same number of birthday presents. Fair means everyone is happy with the birthday presents they get. Equal rules and consequences are exactly the same for everyone. Fair means rules are the same for everyone, but consequences might be different. Am I constantly monitoring how many chores are on each child’s list to make sure everyone has to do the exact same amount of chores? Do I always count how many birthday presents I prepare for each of my friends and family members in order to make sure everyone receives the exact same number of presents on his/her birthday? Do I always cut each slice of bread so that they are all the exact same size? Am I always making sure everyone in my household has the exact same amount of jelly on their toast in the morning? Do I always keep track of how much time and attention I give to each child so that I can make sure everyone gets the exact same amount of attention? Am I constantly monitoring how, why, and how often I discipline each child in order to make sure everyone gets the exact same amount of discipline at the exact same age? If you ask yourself these kinds of questions, you are implementing fairness at the level of a six year old. You are only reinforcing the idea that fairness means treating everyone exactly the same. There are two very important lessons your children might not be learning when you do this. One of those lessons is that not everything is fair all the time. Sometimes two people are exposed to the same illness, but only one of them gets sick. Sometimes two people do the same good deed, but only one of them gets recognized for it. Fairness doesn’t always mean treating everyone in the exact same manner. Babies and younger children usually require more attention than older children do. Children who have certain health conditions sometimes require more attention than children who are relatively healthy. Children who have certain special needs might need more attention than children without (or with less severe) special needs. You can try as hard as you can to make sure everyone gets the exact same amount of discipline, attention, water in their glass, presents on their birthday, or chores on their list. Even so, it is more than likely that at least one person will still see it as unequal or unfair. This is especially true if one child gets a flavor packet in their water, but the other children have to settle for plain water. Or if one child gets a special treat after all of his/her chores are finished, but the others don’t get one. Or if one child gets to play with a favorite toy, game, or gadget after the consequence you have given out has ended, but the others don’t. It is very important that all children are taught the difference between fair and equal, but it is especially important in households that have one or more children on the autism spectrum, since they understand things in a very concrete way. You can try saying things to your children such as, “Alex, why do you have more cupcakes than your sibling(s)?” Rather than, “Alex, it’s not fair that you get more cupcakes than your siblings(s).” That teaches your children to communicate and ask questions rather than jump to conclusions and wrongly accuse other people. Helping to develop communication skills is especially important if you have people on the autism spectrum living with you. As the adult in the situation, you need to use your adult reasoning when it comes to fairness, not your six-year-old child reasoning. Leanne Strong was born in Rochester, NY. At the age of 2 1/2, she was diagnosed with a language disorder, but after further testing, it was determined that she was on the milder end of the autism spectrum (PDD-NOS). At the age of 15 (almost 16), she was re-diagnosed with Asperger’s syndrome (milder Autism Spectrum Disorder). Leanne hopes that this article will help parents and professionals better understand why their child (or the child they work with) who is on the autism spectrum is always pointing out when he or she feels that something is not fair and hopefully help them figure out different ways to explain fairness. Ms. Strong, thank you for this insightful article. My daughter, age 8, is on the Autism spectrum and feels things are not fair between her treatment and the treatment of her brother, who is 22 months younger. I will share this with my husbsmd and discuss it with her to help clarify expectations. Thank you sincerely.